The relationship between Malcolm X and Martin Luther King Jr needs to be revisited today because structural racism persists in the United States, and it is just one of the many injustices that continue to plague the human community everywhere. Malcolm X and Martin Luther King Jr. lived very different lives and couldn’t build a working relationship with each other ― until Malcolm embraced Islam. If there are two outstanding leaders of a popular movement working for the same cause at the same time, you’d assume that they’d probably come across each other often. But the two most prominent leaders of the Civil Rights Movement in the United States in the 1950s-60s, Malcolm X and Martin Luther King Jr, only met each other once, and even then it was almost by accident. It was on March 26, 1964, in Washington, D.C. Malcolm had come to the US Senate to attend a debate about civil rights. After it was over, he slipped into the back row of a nearby news conference of Martin Luther King Jr. At the end of it, Martin left through one door, and Malcolm quickly slipped out of another one and stopped King in his path. “Well, Malcolm,” said King, “good to see you.” “Good to see you,” Malcolm replied, and reporters started to gather around them as they shook hands and started to take pictures. King was visibly surprised by the encounter, but Malcolm grinned as he turned to his fellow civil rights activist and teasingly said, “Now you’re going to get investigated.”  Then they parted ways, and they never met each other again. As a young man, Malcolm went to mostly-White schools in Michigan, and hence he interacted mostly with white teachers and classmates. At this stage, he didn’t get much of a chance to interact with the black community that he was part of. This led to the development of an inferiority complex and Malcolm later wrote that, in that period of his life, he “was trying so hard, in every way I could, to be white.”  Martin, meanwhile, went to mostly-black schools in Alabama, and even at the young age of 15, he didn’t hesitate to stand up and deliver a short speech about how proud he was of his blackness. As he became an adult, Malcolm became involved in drug use and criminal activity, and he developed a resistance of resisting all authority – which quickly landed him in jail. 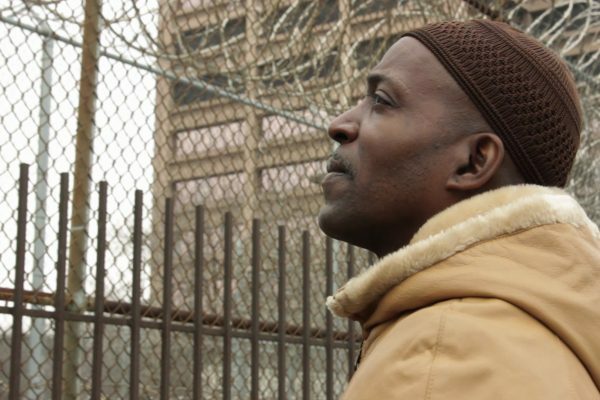 While in prison he joined the Nation of Islam (NOI), finding a father figure in Elijah Muhammad. The specificity of the NOI left Malcolm unexposed and uninterested in the much broader subjects of black history and culture, and, more recently, the Civil Rights Movement. In short, Malcolm’s field of vision was narrowed. But after such a traumatic childhood, he enjoyed his place in the NOI, as it gave him a sense of belonging and purpose. Martin, by contrast, not only attended university but also found much more positively inspiring role models than Elijah Muhammed to look up to as he joined the struggle for civil rights, in which Malcolm had a slight headstart. But Martin had other advantages in this inadvertent race, such as the fact that he was a Baptist leader, and Baptism was the most common religious affiliation of African-Americans at the time. By the 1950s, Malcolm had risen in the ranks of the NOI and become the most active advocate of its black supremacist knock-off of Islam. But by then Martin was the most popular leader of the Civil Rights Movement in the country, and it was probably at this point, in the mid-1950s, that Malcolm and Martin first became aware of each other. Malcolm further assured Martin that, despite their differences, he would personally “moderate the meeting and guarantee order and courtesy for all speakers.”  Martin did not even reply. Malcolm must not have been immediately available for commentary on this, because he had become involved in his own internal struggles in the NOI. Malcolm had become frustrated with the NOI’s isolationist policy of not allowing its members to take part in the broader Civil Rights Movement, particularly in politics and protests. “Those Muslims talk tough,” he said, “but they never do anything, unless someone bothers Muslims.”  As Malcolm moved slowly moved towards his independence from the NOI, he started trying to get Martin’s attention in a different way – by attacking his ways. Nor could Martin continue to ignore his fiercest black critic, who was becoming increasingly popular among politically-active black youth. Malcolm, meanwhile, was done with the NOI. Jealous of Malcolm’s growing popularity both inside and outside the NOI, Elijah Muhammed suspended him from service in late 1963. Only a few months later, in early 1964, Malcolm made his famous Hajj – or Islamic pilgrimage – to Makkah. He returned a changed man – no longer a member of the NOI, no longer a black supremacist, and now truly a Muslim and more open to working together with Martin and other leaders he had previously criticized. Martin saw this as “a propitious sign that this proud and brilliant man seemed to be moving away from racism.”  Malcolm formed his Organization of Afro-American Unity and over the course of 1964 he tried to make it as inclusive of as many African-Americans as possible, particularly those taking part in the Civil Rights Movement. An example of his initiative during this time can be seen in his impromptu meeting with Martin in Washington, D.C., which was mentioned above. The relationship between Malcolm X and Martin Luther King Jr needs to be revisited today, because structural racism persists in the United States, and it is just one of the many injustices that continue to plague the human community everywhere. One of the main obstacles to tackling any of these injustices is to resolve the endless debate on the right way to react and resist. The lesson Martin and Malcolm taught is really very simple, yet so easily forgotten or ignored: there is always more than one way to go, and as long as the way is tread with sincerity, the way must be tried. Martin and Malcolm had many differences between them, but as far as anyone can tell, one thing they definitely had in common was their sincerity, their genuinely good intentions. Their different ways of resisting racism were informed by their different personal experiences in life, but because of their sincerity, the ended up almost inadvertently supporting each other as they struggled to achieve their shared dream. Martin Luther King, Jr. “An Autobiography of Religious Developments,” in Clayborne Carson, et. al., eds., The Papers of Martin Luther King, Jr. Volume 1: Called to Serve, January 1929-1951, (Berkeley: University of California Press, 1992), 360. Transcript of a Press Conference with Martin Luther King, Jr.,” Los Angeles, California (February 24, 1965), pp. 1-2 and 6. “A Telegram from Martin Luther King, Jr. to Mrs. Malcolm X,” Faith Temple Church in Harlem, New York City, New York (February 26, 1965). The iHistory project (formerly known as Islamic History Review) began in early 2014 as a blog, the purpose of which is to help young Muslims (in particular) understand some of the historical currents that have shaped the world in which we live in today. Essentially, this project is about contextualizing the present by learning about the past. However, “the past” is not simply limited to history that can be discussed academically but also traditional history (history found in non-academic sources) and social memory (the way people choose to remember their past). This project also looks at broader themes in Islamic history and attempts to draw meaningful conclusions from them. Finally, this project is a call to action, because at IHR we firmly believe that understanding makes action obligatory. We’re only trying to study the past to understand the present and to create a better future, inshaAllah.